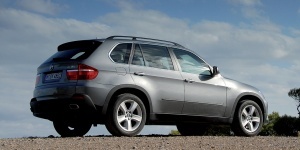 For 2010, the high-performance BMW X5 M joins the lineup. The X5 M uses a twin-turbocharged 4.4-liter V8 that makes a whopping 555 horsepower and comes standard with BMW's xDrive all-wheel-drive system, a stiffer suspension, and sport seats. Exterior cues indicate its performance potential. In addition, all models receive a revised version of iDrive, while HD radio is now standard. Automatic high beam headlights are offered as a stand-alone option.